"What makes Schweblin so startling as a writer, however, what makes her rare and important, is that she is impelled not by mere talent or ambition but by vision." -- New York Times A powerful, eerily unsettling story collection from a major international literary star. 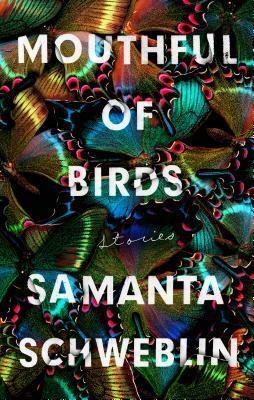 The brilliant stories in Mouthful of Birds burrow their way into your psyche and don't let go. Samanta Schweblin haunts and mesmerizes in this extraordinary collection featuring women on the edge, men turned upside down, the natural world at odds with reality. We think life is one way, but often, it's not -- our expectations for how people act, love, fear can all be upended. Each character in Mouthful of Birds must contend with the unexpected, whether a family coming apart at the seams or a child transforming or a ghostly hellscape or a murder. Schweblin's stories have the feel of a sleepless night, where every shadow and bump in the dark take on huge implications, leaving your pulse racing, and the line between the real and the strange blurs. Samanta Schweblin is the author of the novel, Fever Dream, a finalist for the Man Booker International Prize and her first book translated into English. She was chosen as one of the twenty-two best writers in Spanish under the age of 35 by Granta and is on the Bogotá39-2017 list. Her stories in Spanish have won numerous awards, including the prestigious Juan Rulfo Story Prize, and in English have appeared in The New Yorker, Harper's, and elsewhere. Her work has been translated into twenty languages. Originally from Buenos Aires, she lives in Berlin.Megan McDowell has translated books by many contemporary South American and Spanish authors, and her translations have been published in The New Yorker, Harper's, The Paris Review, McSweeney's, Words Without Borders, and Vice, among other publications. She lives in Chile.